The perfectly round, small seeds of various plants in the genus Brassica. In the Western world mustard seeds are mainly used to make mustard. In the rest of the world it’s also used as a (powdered) spice. 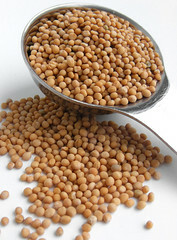 Mustard seeds don’t of taste much until you bruise them and mix them with water or until you heat or grind them. It’s only then that the sharp taste is released. Indian recipes often start with frying some mustard seeds for a few seconds in hot oil or ghee, the moment they start popping the other ingredients are added. This technique is called “Tarka”. Unlike mustard (the sauce), mustard seeds are actually more nutty and fragrant than sharp. They are often part of spice mixes like masala, curry powder, Cajun mixes. 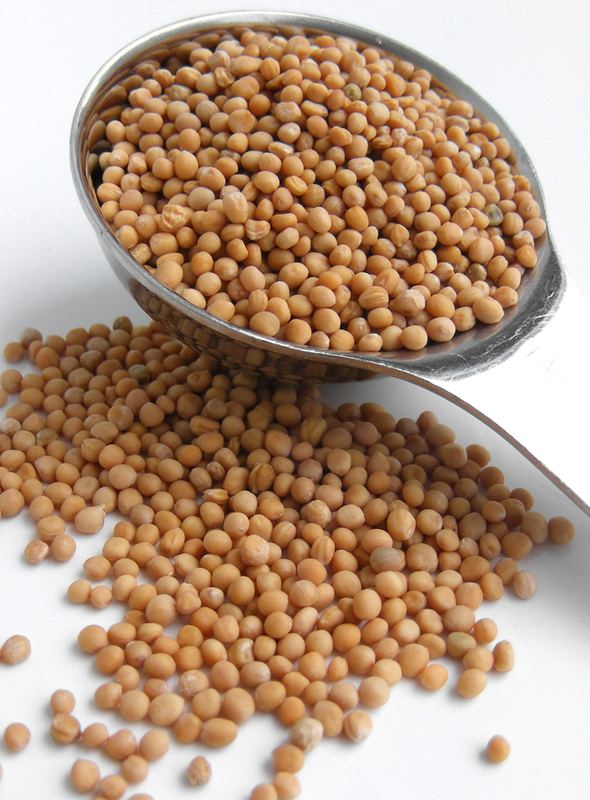 When stored cool, dry and air-tight mustard seeds can keep for months if not years. 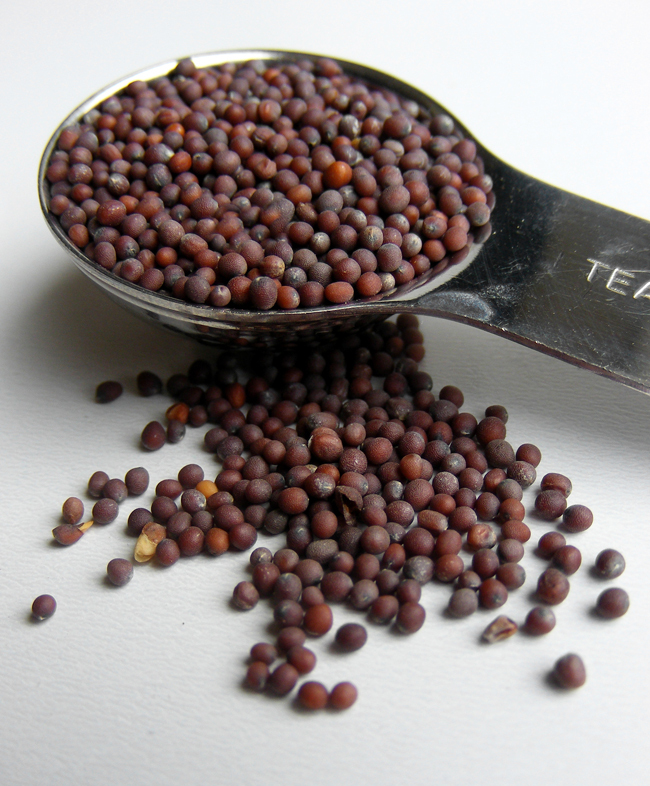 Black mustard seeds can only be harvested manually, which is rather labour intensive. That’s why you won’t find them easily in the shops. Luckily you can substitute them with brown mustard seeds which taste quite similar only a little less pungent. Some recipes say you can substitute brown with yellow mustard seeds, but I would never do that. Substituting yellow with brown is okay. Indian cuisine also uses mustard oil. Raw (in vinaigrettes) it tastes pungent, heated it tastes more sweet and nutty.